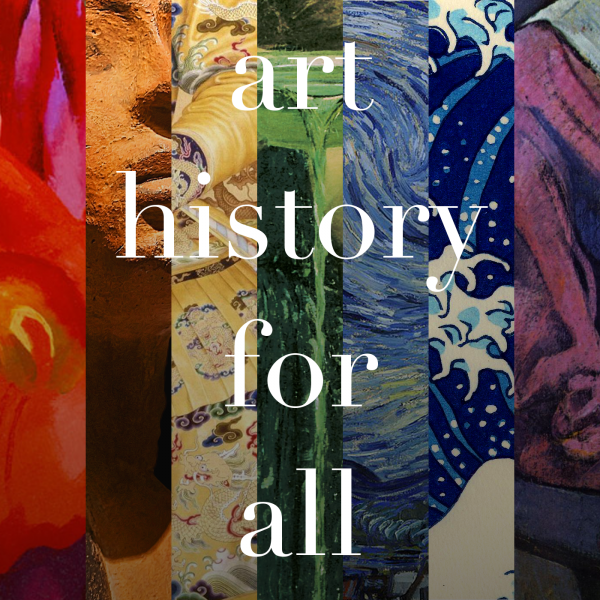 Welcome to the inaugural episode of Art History for All! In this episode, Allyson tells you all about Leonardo da Vinci’s Mona Lisa and the impact it’s had on Western culture, breaking it down from the Renaissance to Dan Brown and beyond. You can find a transcript of this podcast right here, or go to the Transcripts tab at https://arthistoryforall.com. Congratulations Allyson! You hit a home run with this podcast. I also felt the same frustration when trying to view the Mona Lisa at the Louvre – between the small size of the painting, thick bullet proof glass, and hundreds of tourists, all jockeying for position, I wasn’t able to give the painting it’s correct due. You provided a very interesting history of the painting, and taught me a lot. I especially liked the information regarding the theft and vandalism of the painting. New information for me. The music was a wonderful accompaniment. I look forward to listening to future podcasts. New to the podcast. Best visual description of the Mona Lisa I have heard. I need to pay more attention to backgrounds.